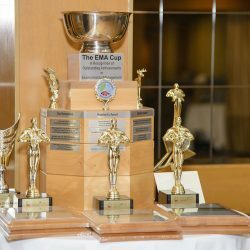 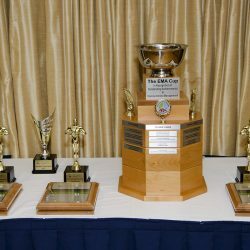 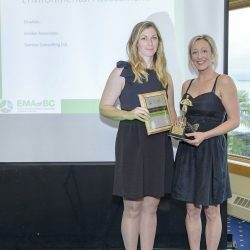 Despite the grey weather, the 2017 EMA of BC Awards Gala was a fantastic night had by all! 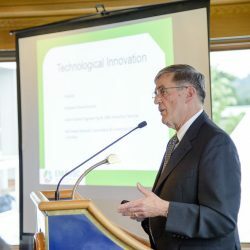 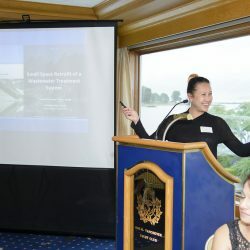 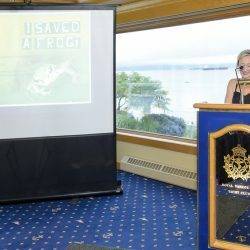 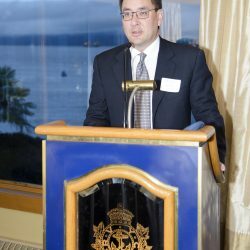 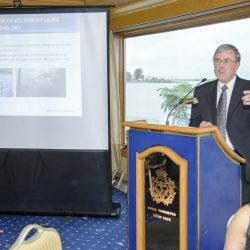 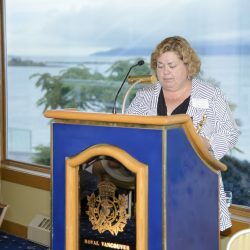 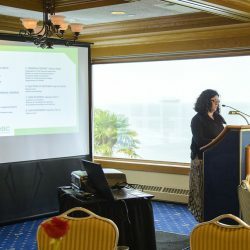 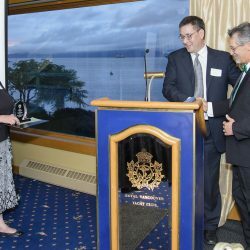 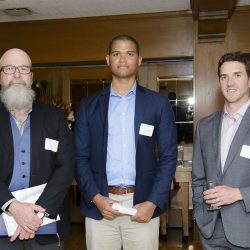 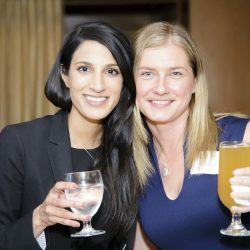 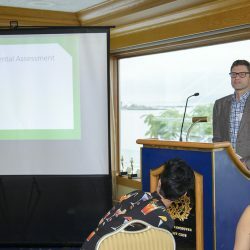 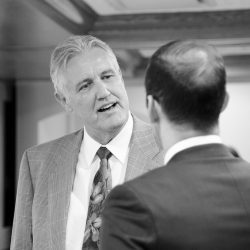 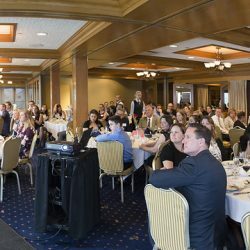 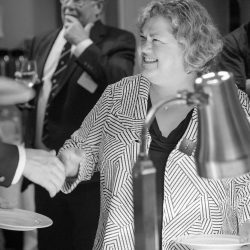 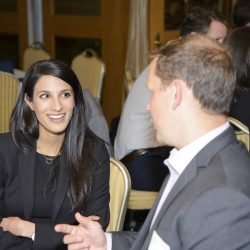 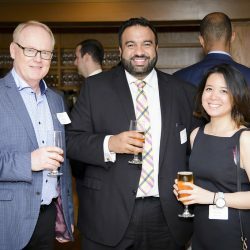 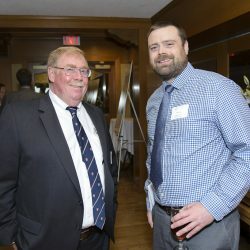 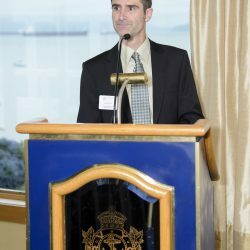 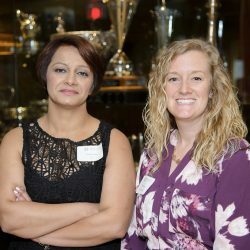 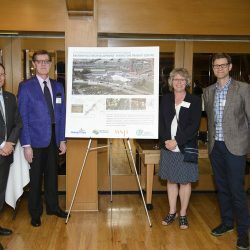 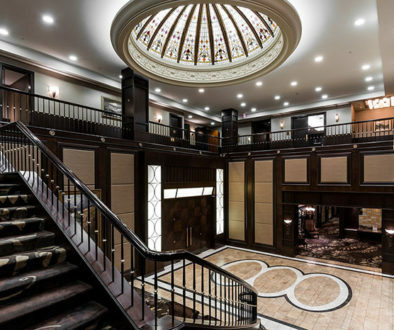 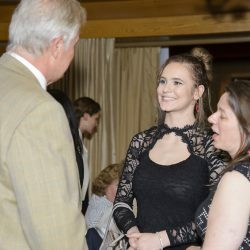 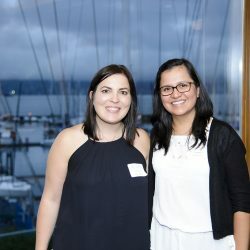 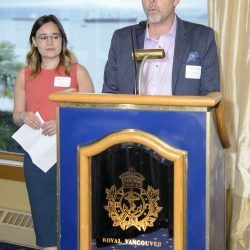 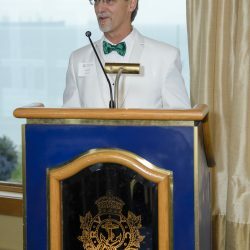 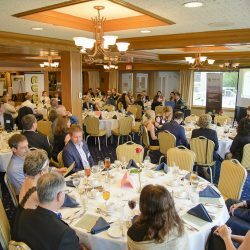 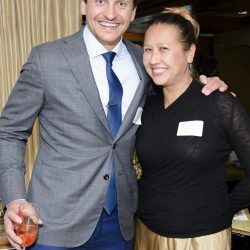 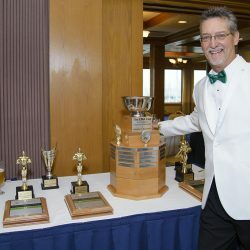 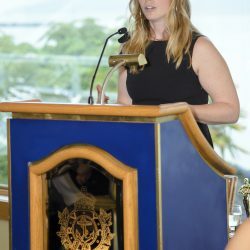 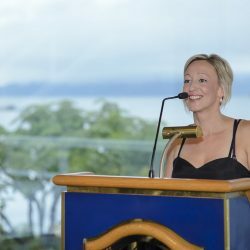 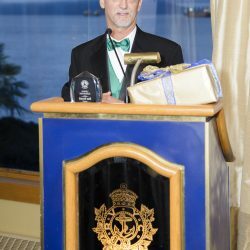 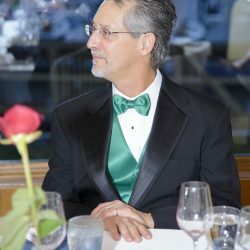 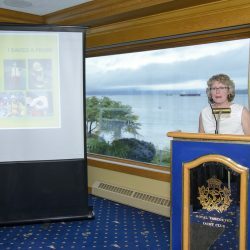 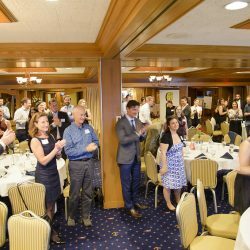 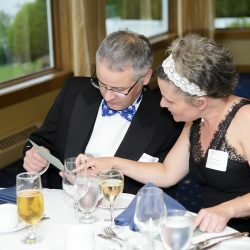 The event was hosted on Thursday June 15 at the elegant Royal Vancouver Yacht Club, after the AGM. 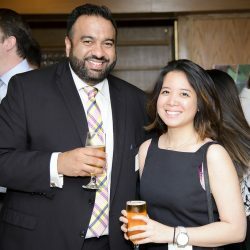 All attendees arriving to register were treated to an opening cocktail mingle kindly sponsored by Maxxam Analytics. 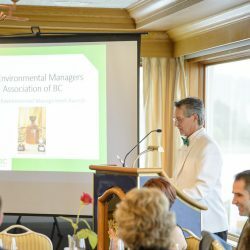 Ever the lively host, Executive Director Don Bryant then opened the evening by recognizing the efforts by the 2017 award judges, as well as acknowledging the past 2016 Award Gala winners. 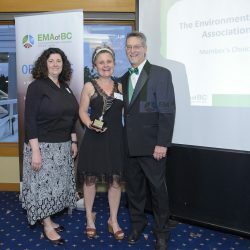 EMA of BC President Leanne Harris next acknowledged the 2017 EMA of BC Board of Directors, and introduced the MC for the evening, EMA Vice President and Vice Chair, Tara Wight. 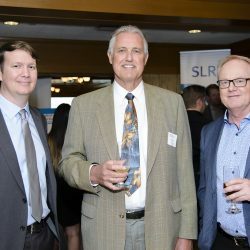 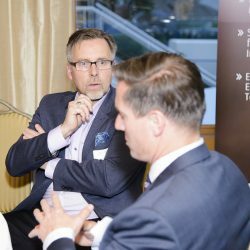 Dinner kicked off with first courses and wine sponsored by SLR Consulting Ltd., followed by the main award finalist presentations by award category. 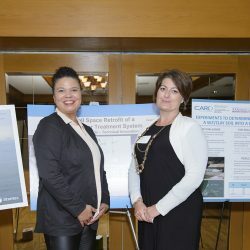 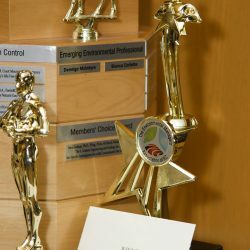 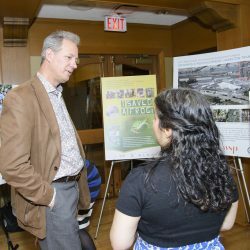 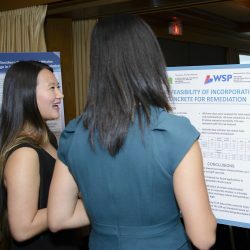 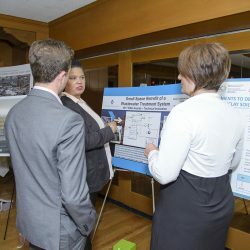 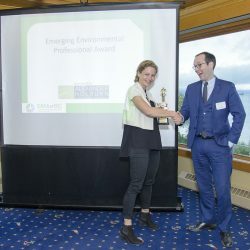 The categories in 2017 included Environmental Assessment, Technological Innovation, Organizational Environmental Programs and Emerging Environmental Professional Awards. 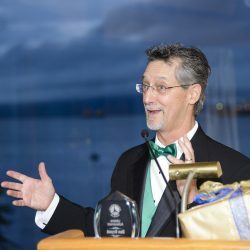 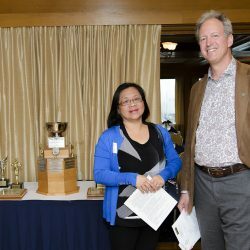 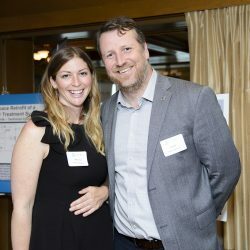 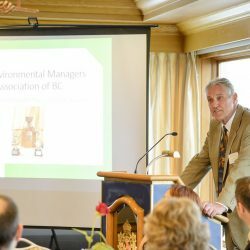 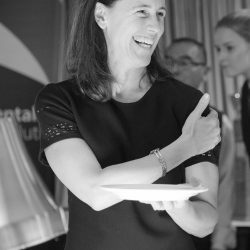 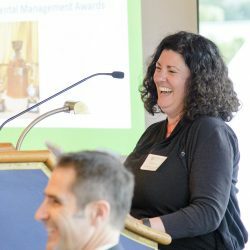 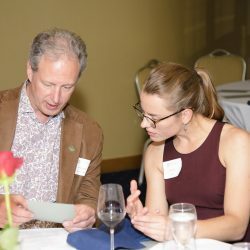 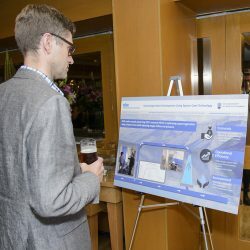 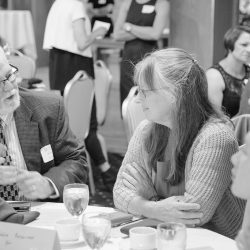 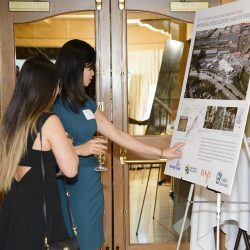 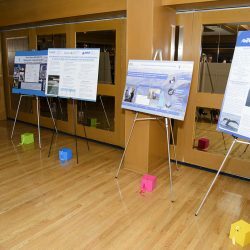 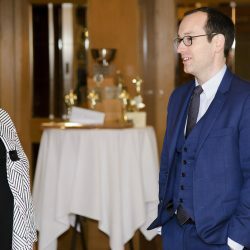 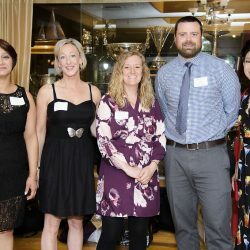 During each of the categories, finalists had an opportunity to present their submissions, and then each winner was announced by a current EMA of BC Board Member. 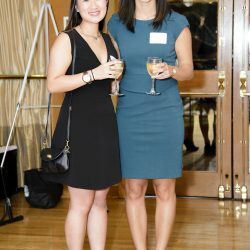 The tasty dinner was followed by a tempting dessert buffet, sponsored by Dillon Consulting. 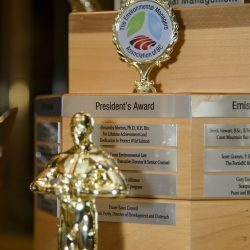 The last award category was one of the most exciting of the evening, the Members Choice Award. 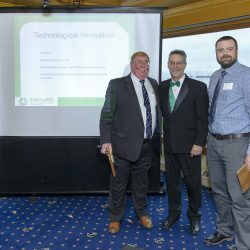 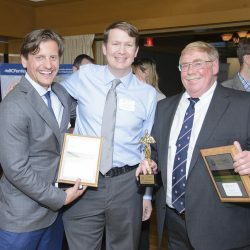 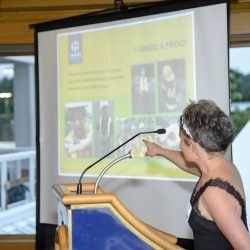 Hatfield Consultants was awarded the winner as they wowed the crowd with an engaging presentation titled “I Saved a Frog!”, from the BC Hydro John Hart Dam construction project. 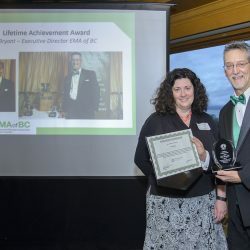 The night was capped off with a very special, and well-deserved, Lifetime Achievement Award presented to EMA of BC Executive Director Don Bryant. 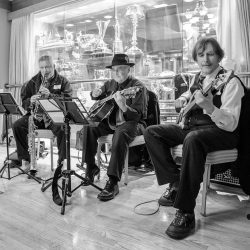 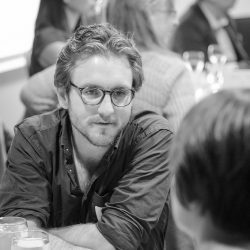 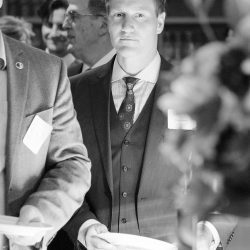 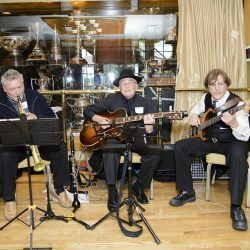 The end of the awards proceedings provided an opportunity for attendees to network and enjoy the wonderful music from the jazz trio – Swing-2-Beat, sponsored by AGAT Laboratories. 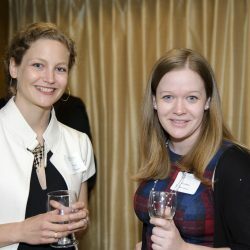 What a spectacular evening full of interesting professionals, unique projects, delicious food, jazz music and awards! 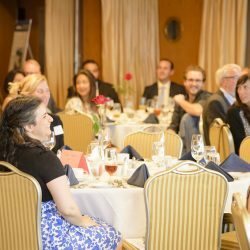 Mark your calendars as this annual event is not to miss for 2018! 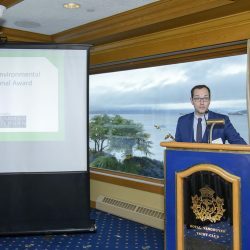 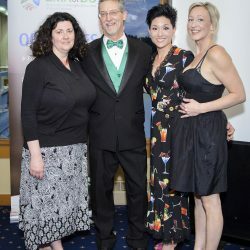 THANK YOU to all our nominees & finalists, sponsors, Swing-2-Beat jazz trio, Volkan Caglar (photographer), judges, the Royal Vancouver Yacht Club and the Awards Gala organizing committee without you this event would not be possible. 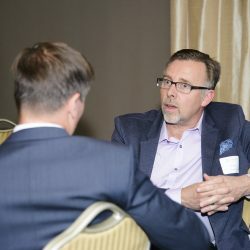 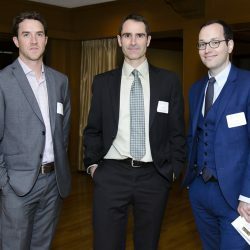 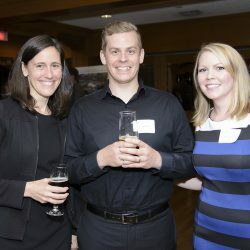 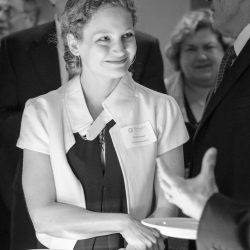 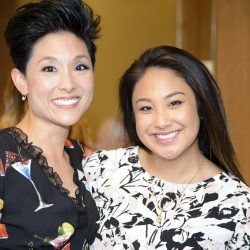 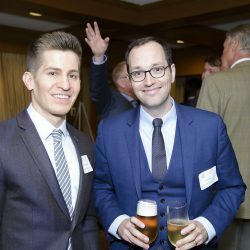 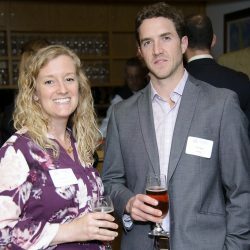 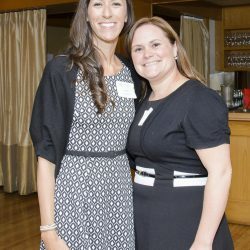 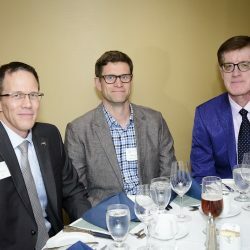 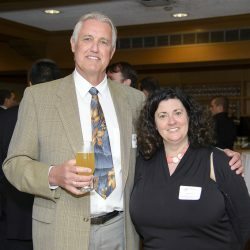 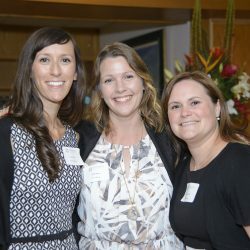 Photos of the event are here!